1 – Take a picture in front of the Chinese Theater. It is a must to take pictures in front of the major park icons when you enter each park. The center icon for Disney’s Hollywood Studios is the replica of the Chinese Theater. You can take a quick selfie or you can get your picture taken by the PhotoPass photographers that are hanging out on Hollywood Boulevard. 2 – Head to Toy Story Land. 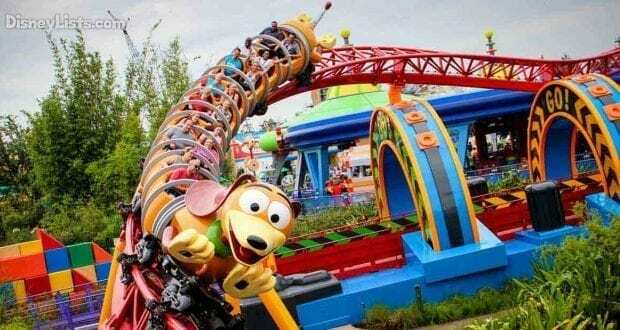 We used to always recommend that guests hurry over to Slinky Dog Dash first thing if they don’t have a FastPass+. The lines get extremely long, so it is better to knock out the attraction early. 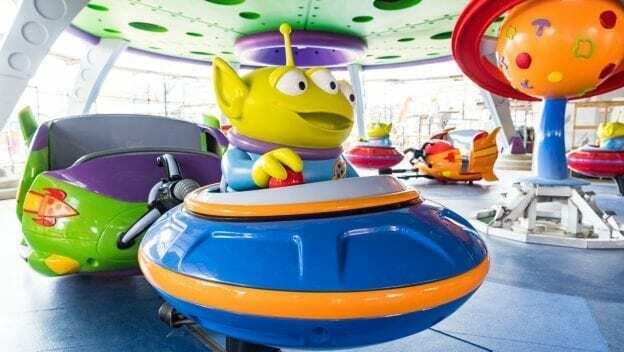 With the opening of Toy Story Land, we expect that land to be extremely busy for a while, so it’s best to head over there first so that you can get in line for the new attractions. 3 – Stop by The Trolley Car Café. The Trolley Car Café is the Starbucks location for Disney’s Hollywood Studios. We always like to stop in there as soon as we get in to grab a coffee beverage to sip on as we make our way to the first attraction of the morning and get a little bit of a caffeine jolt. You can also grab a quick pastry or breakfast offering so that you have energy as you take on the day in the park. 4 – Take a ride on Aerosmith’s Rock ‘N’ Roller Coaster. This super fun roller coaster is extremely popular. If you didn’t snag a FastPass+ and care more about this one than Toy Story fun, then we recommend that you head over to this attraction first. The line can get quite long and stay that way for most of the day. 5 – Book an early breakfast at Hollywood & Vine. If you book the early morning breakfast reservation at Hollywood & Vine, you can get into the park early. This would put you among the first guests to enter the park. You can get some amazing pictures and you can have a delicious breakfast before the park opens so that you are energized and ready to head to the first attraction of the day. 6 – Sign up for Jedi Training: Trials of the Temple. There are a limited number of spots for kiddos that want to participate in the Jedi Training: Trials of the Temple. During this event, kiddos will get to learn what it means to be a Jedi, including experiencing real battles. If your kiddos are interested in this, we recommend making sure that you get them signed up as early as possible. 7 – Drop in on the Twilight Zone Tower of Terror. If you opted away from Toy Story Land and head over to Aerosmith’s Rock ‘N’ Roller Coaster, then we recommend heading to the Twilight Zone Tower of Terror right after. This is another popular attraction and an awesome thrill ride. The lines aren’t typically as long as the ones for Rock ‘N’ Roller Coaster, so we still recommend that you head to that one first. 8 – Interact with the Citizens of Hollywood. The Citizens of Hollywood are a crew of Hollywood personalities that are roaming around the Hollywood Boulevard and Sunset Boulevard area. You will find actresses, magicians, utility workers, etc. You just never know who you might see and they are so much fun to interact with. 9 – Check out the character meet and greets. 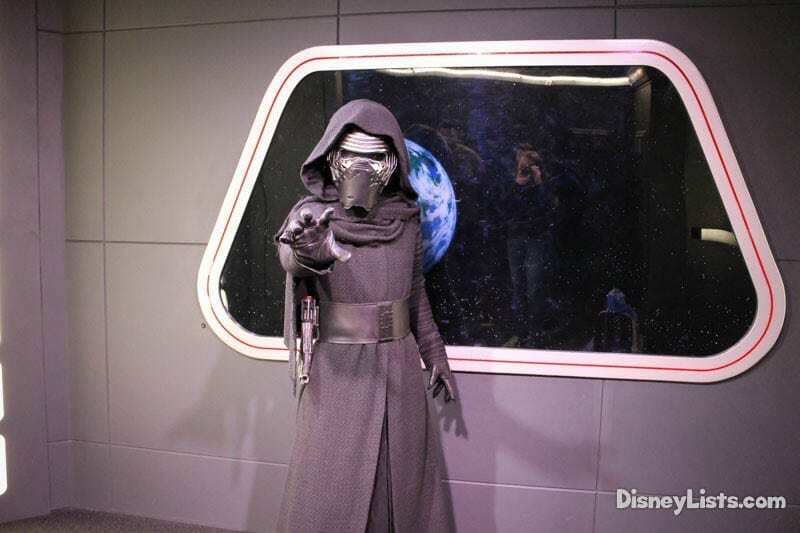 There are a variety of character meet and greets at the park, including Star Wars options, too. Character interactions are always very popular, so we recommend heading over to meet with them early. You can check the My Disney Experience app or pick up a Times Guide in the park to determine which characters will be available and where and when you can find them. 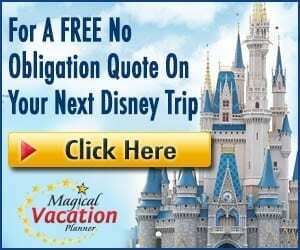 10 – Grab a map and ensure you have FastPass+ and dining reservations made. If you didn’t have your FastPass+ and dining reservations made in advance, I would recommend doing that first thing. 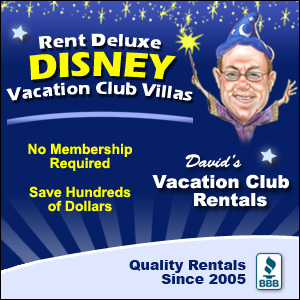 While waiting for the park to open, you can make your selections via My Disney Experience. There will also be park maps available to help you look at everything and determine which selections you should make.